This small, but very attractive church with beautiful golden domes, named the Annunciation Cathedral, stands on the main square inside the Moscow Kremlin (Cathedral's Square) and binded with Grand Kremlin Palace (left side on the picture). The Cathedral was the family church of the Moscow princes and later tsars. It was here that they married and had their new-born heirs to the throne baptized, and the cathedral's senior presbyter was the Tsar's family confessor. The church was built between 1484 and 1489 by the architects Kryvtsov and Myshkin. In the 1480s, during the reign of Ivan III, Pskov master craftsmen constructed a new three-domed brick church on the foundations of an older structure. The church was rebuilt in 1562-1564 after a fire, and another two domes and four corner side-chapels with cupolas were added. While during the reign of Ivan the Terrible a covered gallery was added on the left side. so that the Tsar could stand there during services. In the south side-chapel was to be found his prayer room. This was necessitated by the fact that contrary to church rules he married for the fourth time in 1572, and so he was prohibited from attending general services. From the porch of this cathedral in March 1584 Ivan caught sight of a cross-shaped comet and decided that it foretold of his impending death, and indeed he died a few days later. Frescoes and icons inside the church were painted by medieval Russia's great artist Adrei Rublev and Theophanes the Greek. Currently this church is closed for renovation. 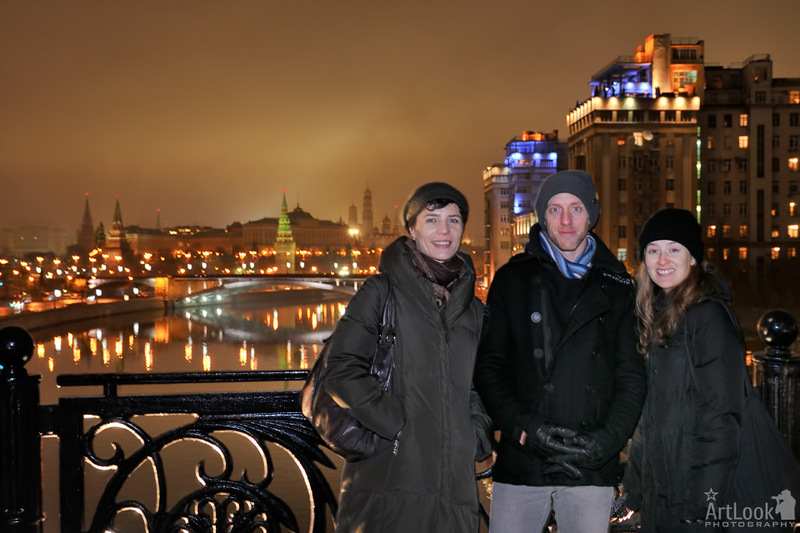 Whether you have a whole day or just a few hours, Arthur will make sure you get to see Moscow through his very intelligent and accommodating tours. I will be sure to recommend him to anyone I know going to Moscow. And I hope to be able to see him again on a return visit! Thank you Arthur!